Dell's mobility launch in London marked a changed attitude in the company's focus on reaching its customers – and revealed a staggering claim of battery life. Headline grabbing material was awash with promises of 19-hour battery lives, instant on technology, sub 1kg ultra portables, a tough design laptop, backlit keyboards, smartcard readers, ambient light detection, 80 per cent battery charges in less than an hour, GPS, UWB and WiMax support as well as a company-wide command to rename all notebooks as laptops. While this was only a laptop launch, with seven new models of the highly successful Latitude range and several more Precision products announced, the approach was indicative of Dell pulling up its socks in a stark admission that it had work to do in a highly fickle market. To this end, of Michael Dell's personally selected 12 man inner circle of operatives, Mark Jarvis, Dell's Chief Marketing Officer, was flown over to spearhead the launch. There was also a "commitment to design and ergonomics", it was said, although the sharp, angular designs and coloured lids seemed to fall short of our expectations of what this promise meant to us. It was also established that the 'instant on' technology was not to be in the first releases, but a light version would be available as an order option from September with a fuller featured version from November. 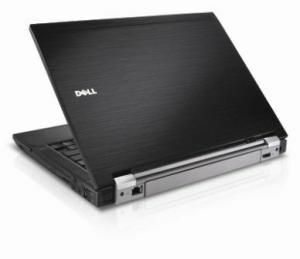 Dell's 'instant on' technology actually works as a Linux kernel residing on a mini-PCI Express module, with a resident CPU and memory. The light version will enable instant access for reading emails and appointments, for instance, whereas a fuller featured version will enable full communication functions.